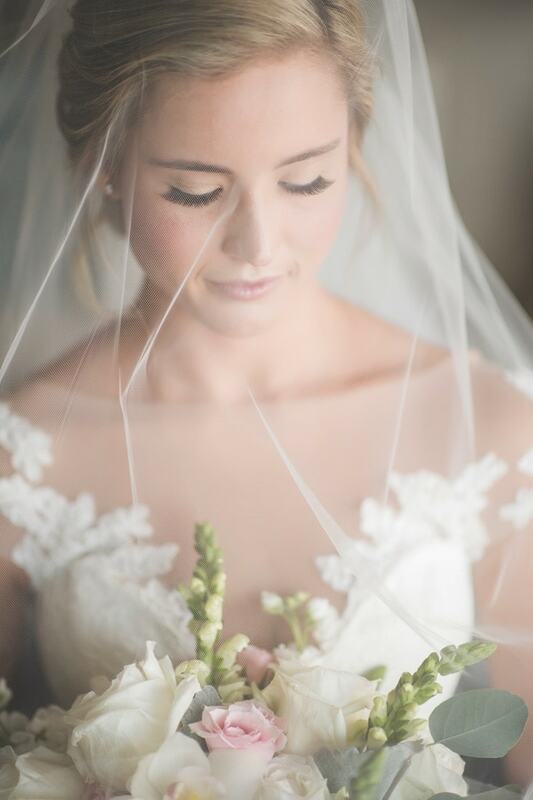 Every girl dreams of planning the perfect wedding, one that reflects her personal taste. 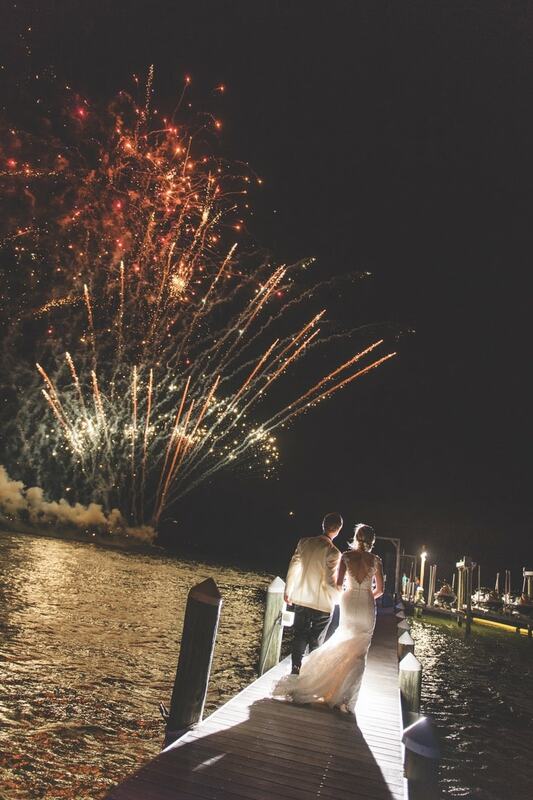 When it includes an iconic location, historical buildings, and a beautiful venue with vantage points for photographs, it's sure to be a magical and memorable soiree. 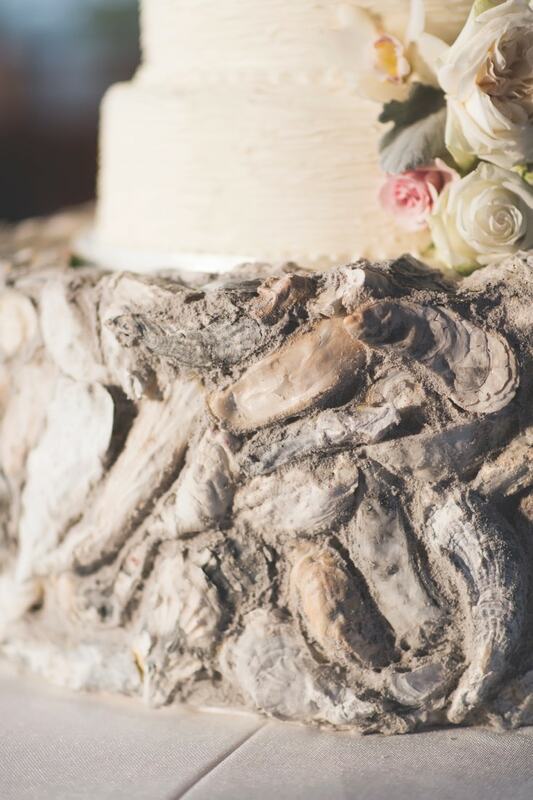 When the bride and groom are also foodies who share a love of the Gulf Coast and oysters, the theme is pretty well set. 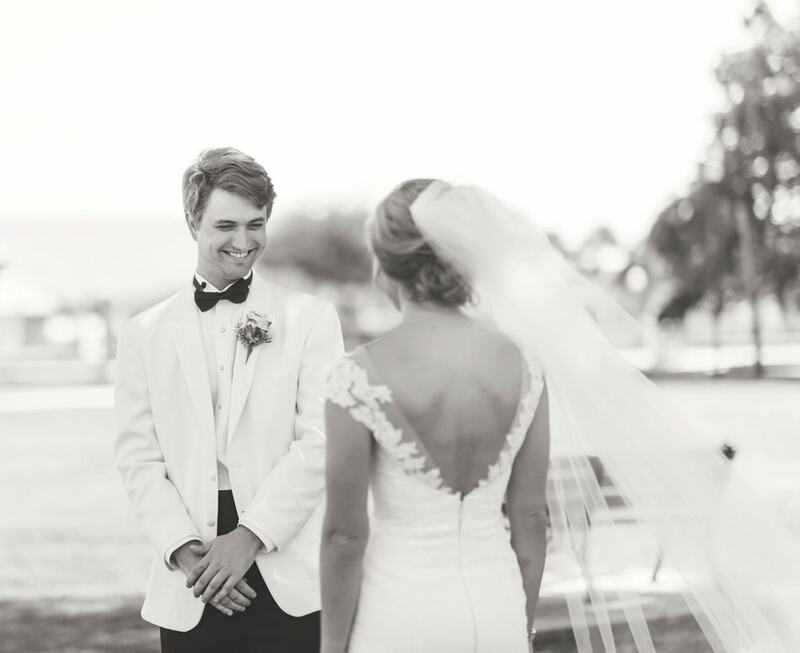 The hand-stitched and embroidered lace fit-and-flare bridal gown by Romona Keveža that Caroline Lillie Coker wore on her wedding day was luxurious, sophisticated, and timeless. Timeless might also be used to describe her courtship with Thomas Joiner Pugh. 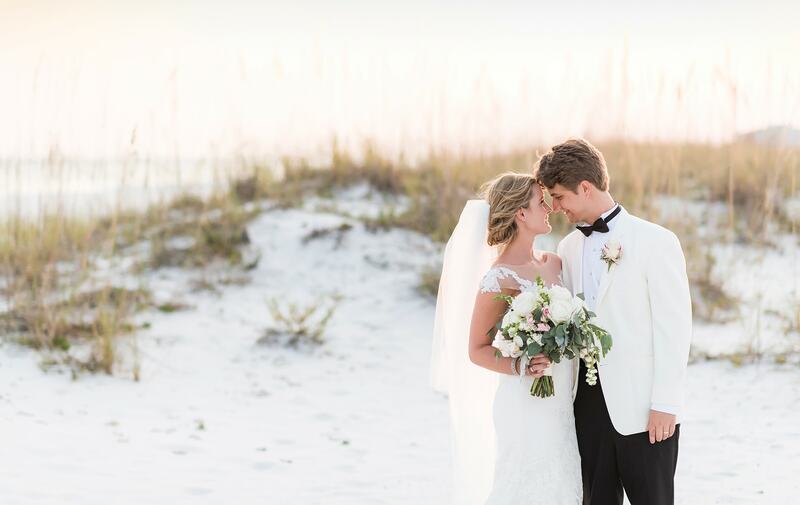 Soon, Joiner was introducing Caroline to his family in Tuscaloosa, Alabama, and Caroline was bringing him to her hometown of South Walton, Florida, along Scenic Highway 30-A. “It may sound cliché, but I knew that Caroline was the one, and I was thrilled to meet her family and close friends,” says Joiner. 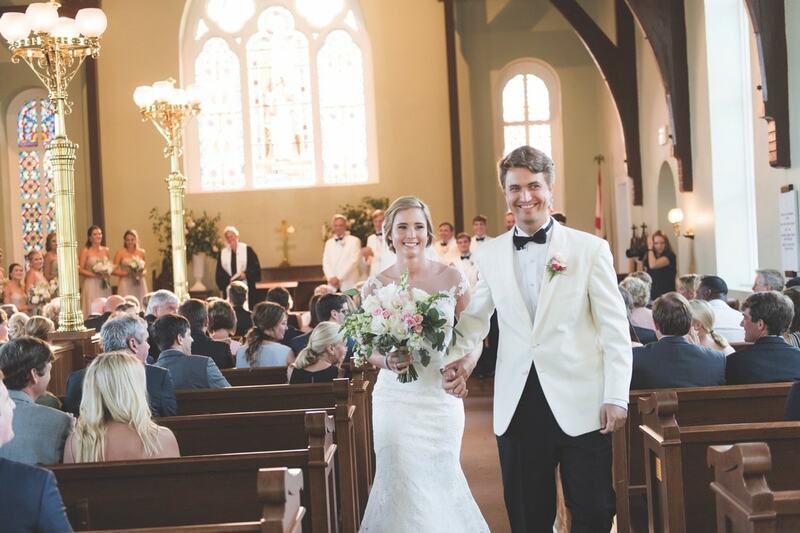 “I fell in love with the city’s rich history and always dreamed of walking down the aisle at Old Christ Church,” she says. 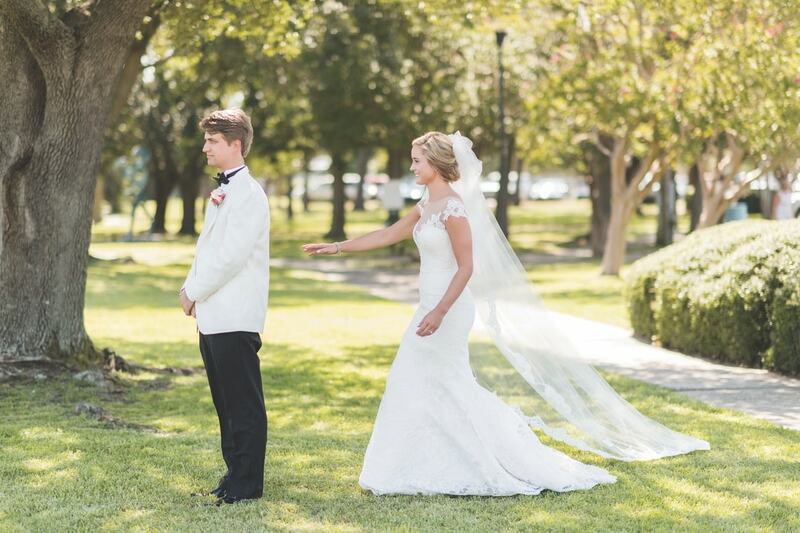 When it came time to plan the wedding, Caroline and Joiner agreed that they wanted it to take place in Pensacola, Florida—Caroline’s second home since the age of five, where her stepfather has an orthopedic practice. 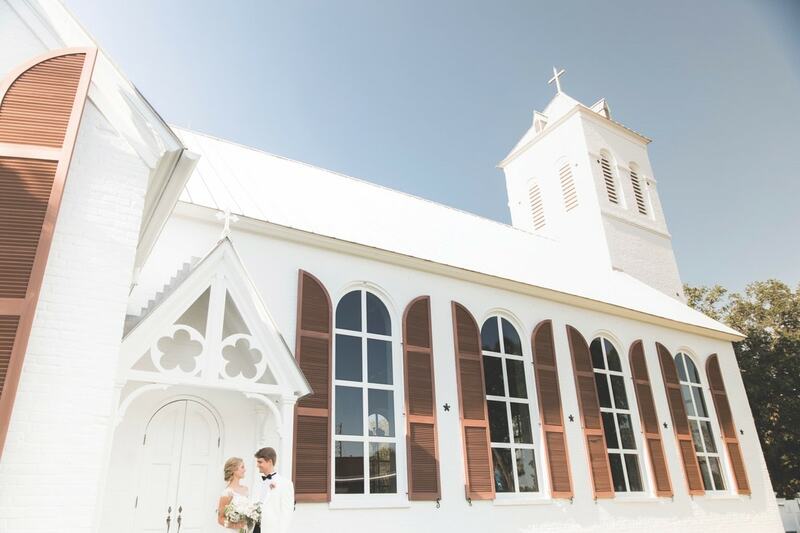 “I fell in love with the city’s rich history and always dreamed of walking down the aisle at Old Christ Church,” she says. 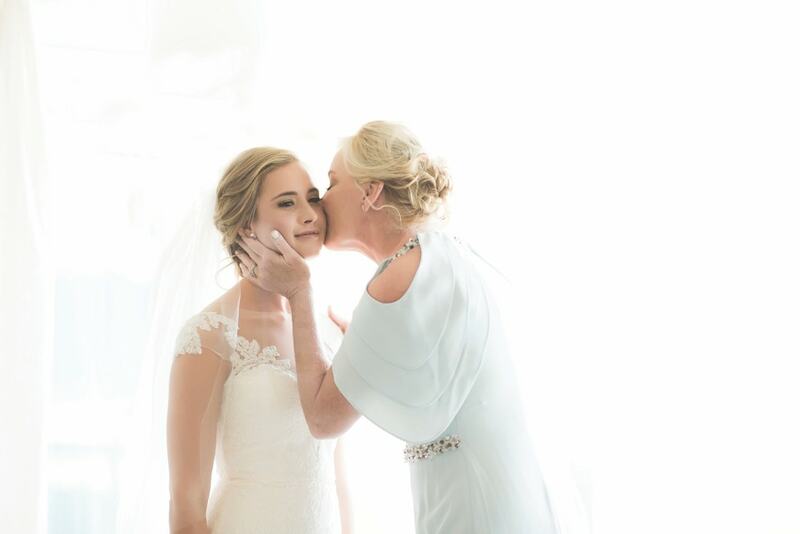 The couple also wanted to have their guests feel connected to them through a more intimate experience and enlisted the help of wedding planners Megan Kennedy and Jessica Jensen. “We chose the pair because there were so many details, and both planners were needed to pull off the wedding of our dreams,” Caroline adds. 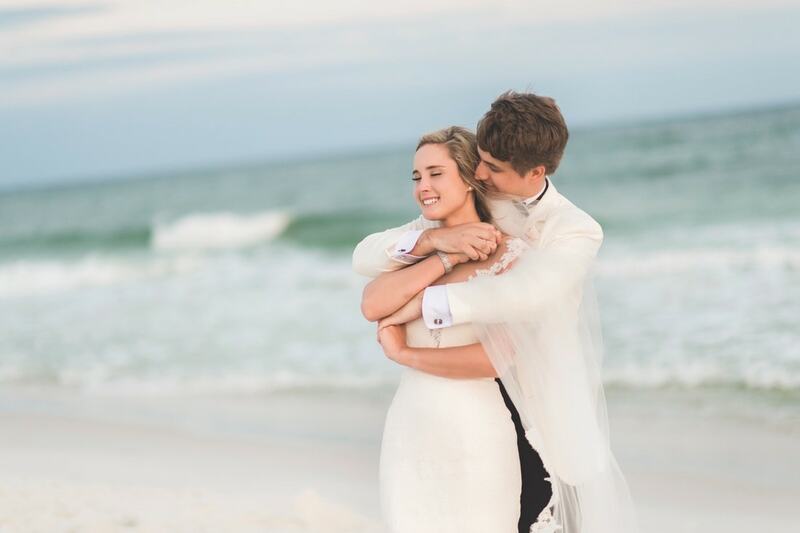 The wedding weekend was held in the peaceful setting of the private Portofino Island Resort on Pensacola Beach, where Caroline’s family also owns a Sky Home. 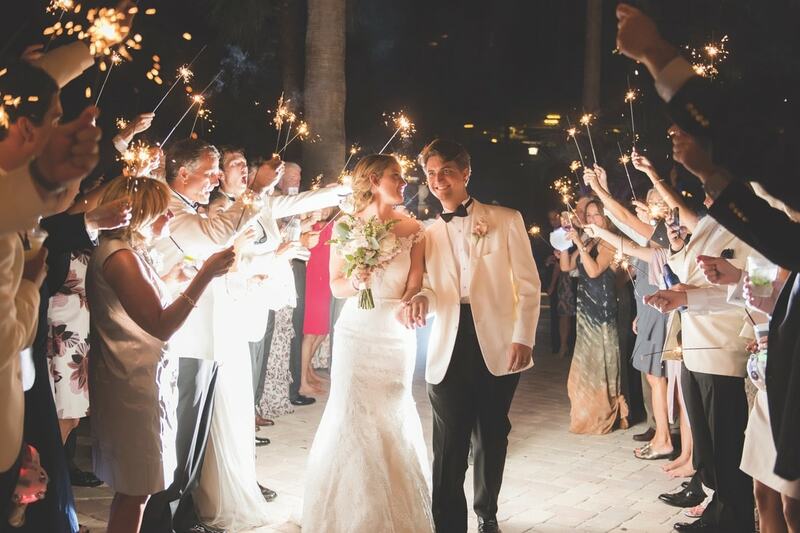 Her parents hosted a casual welcome reception for the bridal party and out-of-town guests on their expansive outdoor balcony overlooking the Gulf of Mexico. The party was catered by David Penniman of Classic City Catering. Guests also received gift bags that included a hydration and hangover kit along with local snacks. Wedding weekend itineraries were screen printed and tied to each bag using a Pensacola Bay Oyster Co. oyster shell. The following evening, everyone convened for a sunset trolley ride to 5eleven Palafox in the historic Trader Jon’s building for a rehearsal celebration that featured a sumptuous four-course dinner, once again prepared by Classic City Catering. There was also a live performance by well-known pianist John Ripley. There wasn’t a dry eye in the venue after the short and sweet speeches—and especially after Caroline’s stepfather, Philip, played his acoustic guitar and sang “Humble and Kind” to the couple. 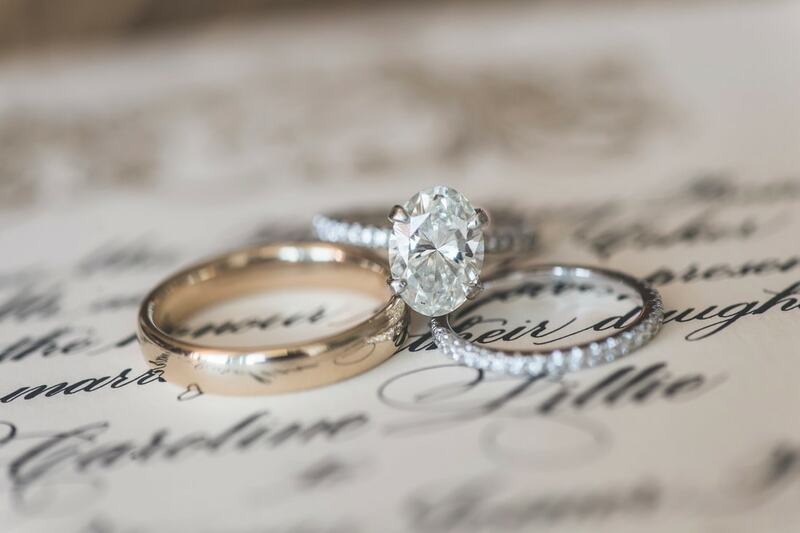 Caroline’s “something old” was her late great-grandmother’s diamond ring, which she wore on her right hand; it was a wedding gift from her grandmother as she is the namesake. Her “something new” was a pair of diamond earrings, a wedding gift from her husband. Her “something borrowed” was a diamond cuff bangle lent to her by her mother, and the “something blue” was the couple’s wedding date stitched into her Badgley Mischka shoes. After the ceremony, the bridal party took a trolley to the Boardwalk on Pensacola Beach, where they boarded a boat for a champagne excursion to Portofino Island. Meanwhile, guests were also taken by trolley to the poolside reception at the resort overlooking the Santa Rosa Sound, where they enjoyed music, cocktails, and appetizers. Dinner began at seven with passed appetizers and food stations that included jumbo Gulf shrimp, filet mignon, a mashed potato bar with various toppings, local beet salad with goat cheese, and haricots verts bundles. A team from the Wandering Oyster was also on-site to shuck and serve four appellations of fresh cold oysters with mignonette sauces. The passed appetizers continued throughout the evening, with the menu changing each hour and ending with late-night bites: Kobe beef sliders and the bride’s favorite, grilled Alabama Conecuh sausage with mustard sauce for dipping. And though guests enjoyed two open bars, Donner-Peltier Distillers personally created two signature cocktails for the couple as a wedding gift. Soft white fabric with twinkling lights billowed in the breeze and a floral crystal-and-pearl chandelier designed by Fiore of Pensacola hung above the monogrammed dance floor. 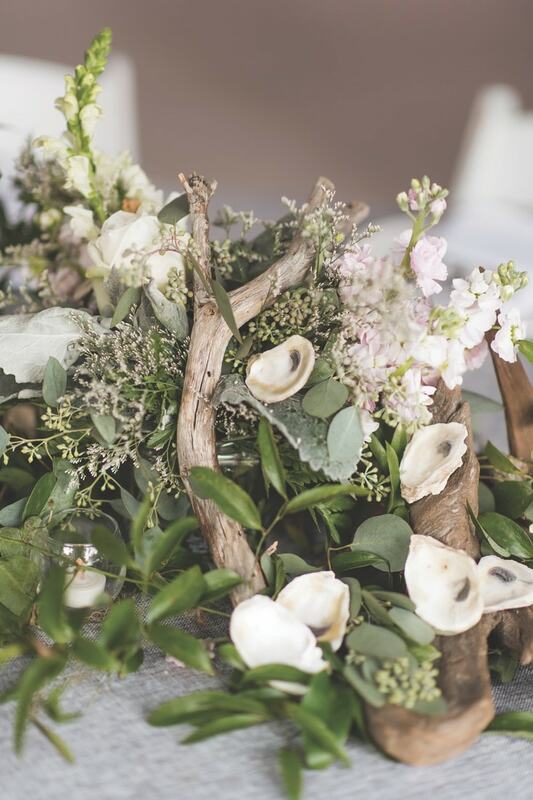 Two chandeliers of repurposed oyster shells dangled close by, while another floral chandelier was suspended over the fresh crushed-strawberry-and-cream layer cake that sat atop a base made from oyster shells. The newlyweds skipped the traditional garter toss to allow more time for the guests to dance the night away to tunes performed by Big Bling and the Funk Machine, a high energy band from Atlanta. The couple chose Etta James’s “At Last” for their first dance, the bride and her two fathers shared a dance to “Sweet Caroline” by Neil Diamond, and the groom swayed with his mother to “Days Like This” by Van Morrison. As if the night was not spectacular enough, it ended with a stunning fireworks display over the sound before the Pughs were whisked away by boat. Of course, the only way to follow up such an epic celebration is with an unforgettable honeymoon, and with the help of Maria Poole Luxury Travel, the couple soon departed for an extended vacation in Saint Lucia. Like Shakespeare’s quote from Much Ado About Nothing, “I will not be sworn, but love may transform me to an oyster,” Joiner has found his pearl and everything he was looking for in Caroline.